When I was a boy in religious school, a superb Hasidic teacher taught us that God’s voice in Torah addresses each of us personally; every person named in Torah reveals a dimension of our own personality, and every location in Torah reveals a place in our own life. 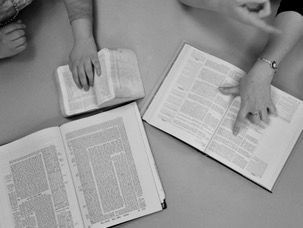 The text of Torah was a lens through which we could see the text of our own life as it was unfolding. When the Jewish philosophers Martin Buber and Franz Rosenzweig translated the Torah from Hebrew to conversational German, they translated “v’ahavta et YHVH” as “Love Me.” In his remarkable book The Star of Redemption, Rosenzweig examined this command of God, “Love Me,” and noted that in this essential Jewish prayer, God is asking us for love. God is not self-sufficient. God needs my love. This is how I understand God’s humility, not God’s perfection. Rosenzweig teaches that we love God by loving our neighbor, the one physically or emotionally near us (and the immigrant/refugee/estranged one), as we love ourselves. His teaching, “Love Me,” was life-changing when I read it more than 50 years ago, and it remains so now: I understand that God’s revelation, God’s need for the human love of those near and estranged, and God’s humility were ways to reveal to us how deep was our need for human love and how essential our need for humility. To be humble means to know that we are needed and we are in need of others. As Rabbi Stan Levy comments, the Sh’ma calls us into this awareness, reminding us that no one, not even the Creator of the world, is self-sufficient. As a child, I learned the teaching attributed to Rabbi Simcha Bunim of Peshischa that we should each carry two notes in our pockets: One tells us that we are but dust and ashes, the other that the world was created for our sake. I have come to wonder about the wisdom of this teaching. The world can so easily send us swinging from one pocket to the other, convinced of our own importance in one moment and our inadequacy in the next. When will we learn that “I am everything” and “I am a worthless piece of garbage” are not, in fact, opposites? They are two sides of the same coin, both tinged with some kind of hubris. Both miss the subtle strength of being able to say, at the same time, in some constant swirl of give and take: I am needed and I am in need. How we hold each other in a balance of mutual need is mysterious — as is the sense of uncertainty that opens us up to the sweet surprises of the ever-unfolding. How awesome to understand that asking to be loved is a form of humility, as Rabbi Levy so poignantly writes. How can we teach our children humility while avoiding insecurity in today’s achievement-oriented culture? When our children pursue acceptance into an elite university or enroll in a competition, how do we bolster their self-esteem and temper their ego? In the V’ahavta, it says, “b’chol levavcha” — “with all your heart.” The Mishnah teaches that “all” refers to “b’chol midah u’midah.” (Berakhot 9:5) In other words, we are to love God with every one of our attributes — those we are proud of and those we find embarrassing. We are multidimensional beings. What is being praised when we “win” or dismissed when we “lose” is but one dimension of ourselves seen through the eyes of someone else. Teaching our children this builds resilience in moments of rejection and increases humility in moments of success. All too often, we teach our children this lesson only when they face rejection, but children need to be reminded of this precisely at moments of success in order to really believe it to be true. That God wants us to love God with all facets of ourselves, our strongest attributes and our weakest attributes, is a reminder of the way we should also love ourselves and love others; it is a reminder not to judge too harshly or too favorably. 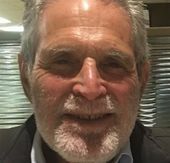 Rabbi Stan Levy is the founding rabbi of Congregation B’nai Horin-Children of Freedom, and co-founder of a seminary, the Academy for Jewish Religion, California. Tali Anisfeld is a sophomore at Princeton University, where she plans to study environmental humanities. 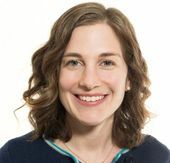 Originally from Newton, Mass., she is an alumna of The Bronfman Fellowship. Becky Voorwinde is executive director of The Bronfman Fellowship. She lives in Brooklyn with her husband and two young daughters.